Boston — March 6, 2019 — The New England Venture Capital Association (NEVCA) today announced that Hack.Diversity — a workforce development initiative for high-skilled minority workers pursuing careers in STEM fields — received a $75,000 grant from the Chan Zuckerberg Initiative (CZI). CZI aims to help create a world that amplifies opportunity for those in need by supporting historically overlooked populations and increasing diversity and inclusion. Powered by increasing demand from high-growth companies and philanthropic support from the likes of CZI and The Boston Foundation, Hack.Diversity has maintained a truly impressive growth trajectory in its third year. “Hack Diversity is creating exciting new avenues of opportunity in the technology field for historically underserved youth, and we’re thrilled to support their vital work. We believe that the strongest teams incorporate and uplift a wide range of voices. To help build a more just, equitable future, we need people from all different backgrounds and experiences, who can challenge each other’s assumptions with fresh perspectives.” — Maurice Wilkins, who leads Diversity, Equity and Inclusion at the Chan Zuckerberg Initiative. Attention from national organizations like CZI is buoyed by Hack.Diversity’s impressive retention rate — nearly all the program’s inaugural Host Companies are still involved — and exponential growth. Since its inception in 2017, Hack.Diversity has tripled its Host Company roster from six to 15 and increased its talent pool from 16 to 50 Fellows. The program boasts six new Host Companies in 2019, for a total roster of 15, including Lola.com, ASICS Digital, Drift, BookBub, Carbon Black and Veson Nautical. These newcomers are joined by a mix of returning Host Companies from 2017 and 2018, a veritable who’s-who of Boston innovation. Returning Host Companies include HubSpot, Rapid7, Vertex, Wayfair, athenahealth, DraftKings, Beth Israel Deaconess Medical Center, Liberty Mutual and WordStream. Hack.Diversity’s 2019 growth is not confined simply to Host Companies and Fellows. To support the mission, the NEVCA added two high profile individuals to its Board of Advisors. Hack.Diversity welcomed Pamela Aldsworth of Silicon Valley Bank (SVB) and Neeraj Agrawal of Battery Ventures to the Board of Advisors, bringing the total to 10. Aldsworth is Managing Director of Venture Capital Relationships at SVB, overseeing strategic relationships with VC firms by leveraging the diverse financial services of the SVB Financial Group platform. Agrawal, recognized on the Forbes Midas List for the past eight consecutive years, is a General Partner at Battery Ventures who invests in SaaS and Internet companies across all stages. 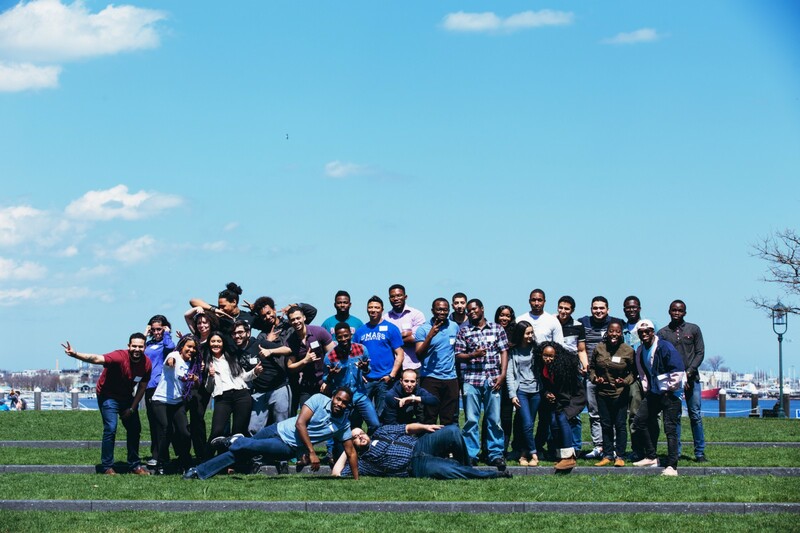 The continued expansion of Hack.Diversity’s reach in 2019 is made possible by the support of philanthropic partners at The Boston Foundation, The Herb and Maxine Jacobs Foundation, The Demond and Kia Martin Foundation, The Carbonite Foundation Fund and other individual and corporate donors. To learn more about this year’s Hack.Diversity program, visit www.hackdiversity.com. The New England Venture Capital Association (“NEVCA”) fosters a collaborative, inclusive, and prosperous innovation ecosystem. The NEVCA convenes leaders across the innovation community, builds sustainable solutions for workforce diversity, champions New England’s regional brand, and advocates for innovation-friendly public policy. Its member firms manage more than $80B in capital. Follow @NewEnglandVC on Twitter, check out www.newenglandvc.org or the NEVCA’s Facebook page to learn more. Program of @newenglandvc, tackling the under-representation of minority talent in Boston’s high-skill innovation economy.